The webmail login page is https://login.casscomm.com. Please bookmark this for reference. 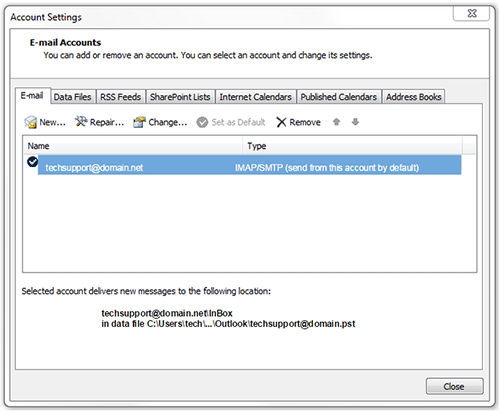 IMAP server: Enter mail.casscomm.com - The system may auto-populate this field with incorrect information. If it does, change it. Security type: Select the drop-down and choose either: SSL (Accept all certificates) or SSL/TSL (Accept all certificates) The choices are listed differently based on smart phone device. Congratulations! You have successfully configured your account. This guide will help you set up your Apple Mail program to receive and send email using your new account settings. Your email is now set up. Congratulations! This easy guide will help you set up your iPad to receive and send email using your new account settings. Step 2. In the Accounts section, tap your email account. Note: If your account is not listed, click on Add Account, then Other, the Add Mail Account then complete the form. You can then skip to step 4 below. Step 3. Tap your email address. Ensure the User Name is your full @casscomm.com email address. Tap the Add Server… button. Your email is now configured. Congratulations! These guides are meant to assist you with removing your account from the Gmail Application on your Apple iPhone or iPad. In the Account Information window, click Account Settings, and then click Account Settings again from the menu that appears. Click Test Account Settings… Note: If you receive an error, double-check that all steps were completed correctly and that your Internet connection is active. This guide will help you update your Windows 8 - Mail App program to receive and send email using your new account settings. This easy guide will help you set up your Windows Live Mail 2012 email program to receive and send email using your new email account settings. IMPORTANT: Ensure that the Email username is your full E-mail Address, including the @casscomm.com and that your Password is correct. Step 3.. Click OK. Your email is now set up. Congratulations!